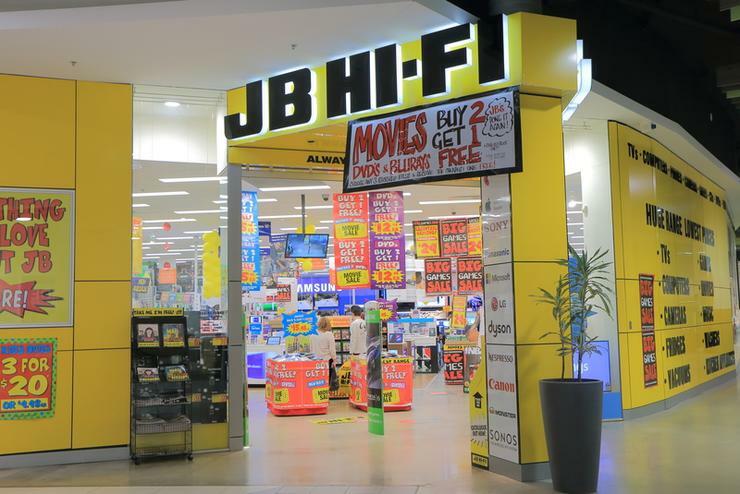 Electronics retailer, JB Hi-Fi (ASX:JBH), has entered into a binding agreement to acquire fellow electronics and appliance retailer, The Good Guys, for a cash consideration of $870 million. The deal, announced by the publicly-listed company on 13 September, will see JB Hi-Fi acquire 100 per cent of The Good Guys, but remains subject to certain price adjustments at its completion. In May, JB Hi-Fi confirmed it was in discussions with The Good Guys in relation to a potential buyout. In August, the Australian competition watchdog said it wouldn't stand in the way of the proposed acquisition. The acquisition will result in a combined footprint of 295 stores throughout Australia and New Zealand, and enhance the company’s growth platform through the opportunity to open new The Good Guys stores in catchment areas that are currently underrepresented. It is unclear whether JB Hi-Fi will rationalise the combined entity’s footprint in areas where both brands have a presence, or whether the company will continue to rollout its JB Hi-Fi Home-branded stores, which present areas of overlap with The Good Guys. At the same time, there is likely to be some rationalisation in other areas, with JB Hi-Fi telling shareholders that the acquisition will also provide it with the increased scale to optimise its supply chain and, over time, leverage the value from JB Hi-Fi and The Good Guys’ combined digital assets investments. JB Hi-Fi CEO, Richard Murray, told investors that The Good Guys had an excellent track record, and that he was impressed with what it had achieved since its establishment. For the year ending June 30, 2016, The Good Guys generated earnings before tax (EBIT) of $74.2 million of the back of $2.09 billion in revenue. “The acquisition is a very attractive strategic opportunity for JB Hi-Fi since The Good Guys is a highly complementary business which is aligned with our management philosophy and significantly enhances our offering in the $4.6 billion home appliances market,” said Murray. “Importantly, Michael Ford, CEO of The Good Guys, has agreed to continue his leadership of the The Good Guys under JB Hi-Fi ownership. We are very pleased to welcome Michael and his executive team, and looking forward to working together to create a market-leading consumer electronics and home appliance retail group,” he said. Each brand will maintain an independent go-to-market strategy following the acquisition, and each will also maintain independent support offices. While the implementation costs of the acquisition are expected to cost between $10 million and $12 million – mostly in the first year after the completion of the acquisition, the deal is expected to deliver net synergies of $15 million to $20 million per year after a three-year integration period. These synergies are expected to come from greater buying power in the market, logistics and supply chain efficiencies, procurement synergies, and support function efficiencies. The deal will be funded by a combination of the proceeds of an entitlement offer worth approximately $394 million, with around 15 million new JB Hi-Fi shares issued, and a $450 million new multi-tranche acquisition debt facility. The acquisition announcement comes just weeks after the company tried to quell market speculation with a statement suggesting that, while it was in discussions with The Good Guys regarding a potential acquisition, the privately-held company was continuing to assess an initial public offering (IPO) on the Australian Securities Exchange (ASX). In May, The Good Guys appointed Credit Suisse, Goldman Sachs, and UBS as joint lead managers to support a bid for an IPO on the ASX. Looking forward, JB Hi-Fi expects to reach sales of around $4.25 billion for full financial year ending 2017, with the acquisition likely to result in The Good Guys’ 2017 financial year earnings to be in line with its results for the previous year. At the time of writing, JB Hi-Fi had halted trading at $28.85 per share.